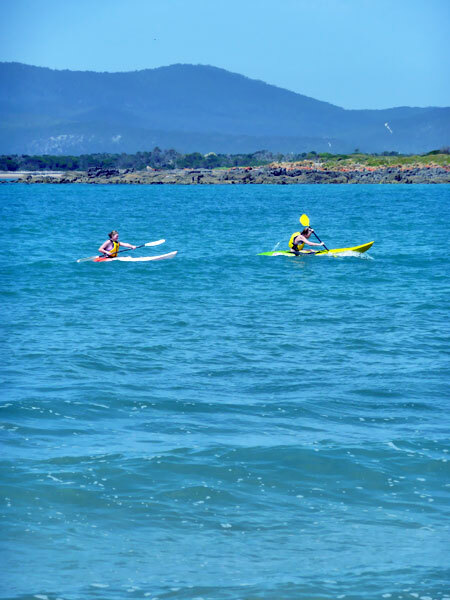 PORT SORELL is a waterside playground a short drive east of Devonport, and is situated on the eastern end of Tassie's north west coast. 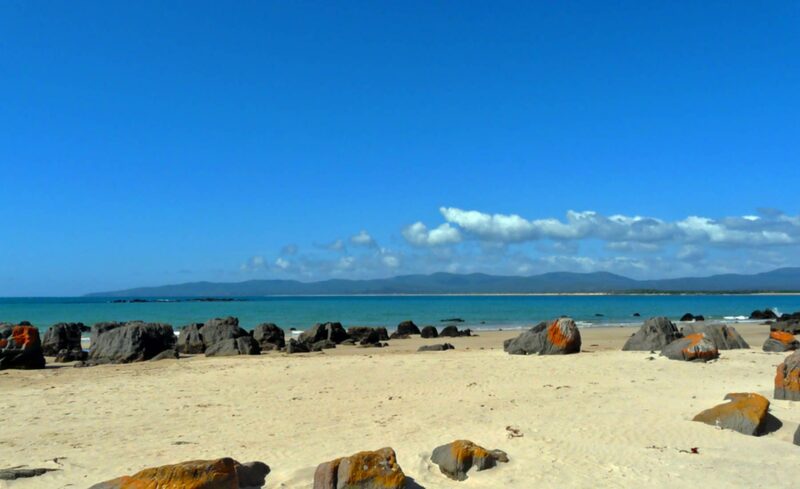 Year-round, locals can be found fishing, wind surfingand using the walking track along the beach. 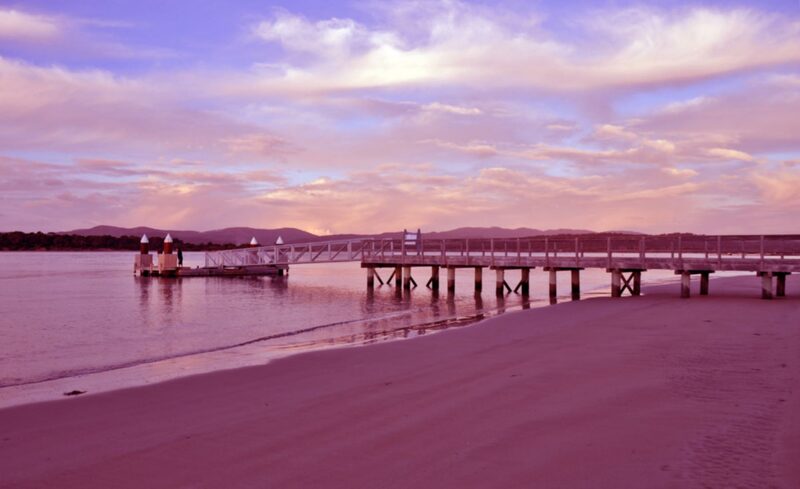 Close to local shops, Shearwater Resort and Ghost Rock Winery. 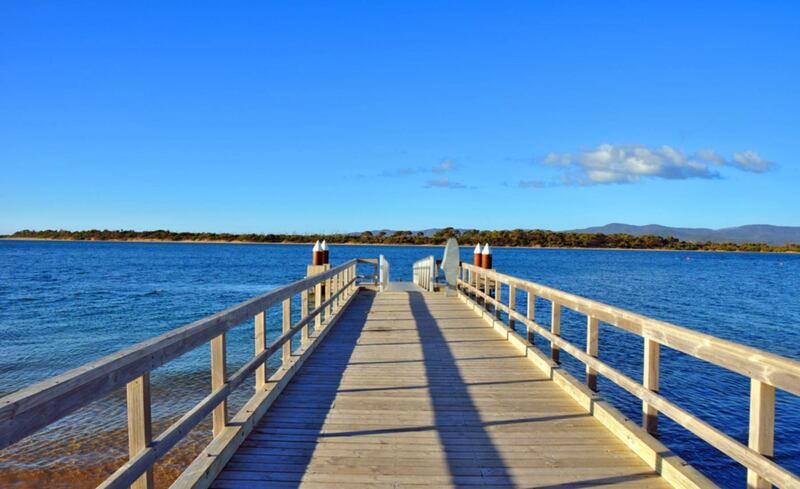 15 minutes from Latrobe, 20 minutes from Devonport for shopping, the ferry and the airport. 1 hour from Launceston, easy drive to Sheffield and Cradle Mountain. 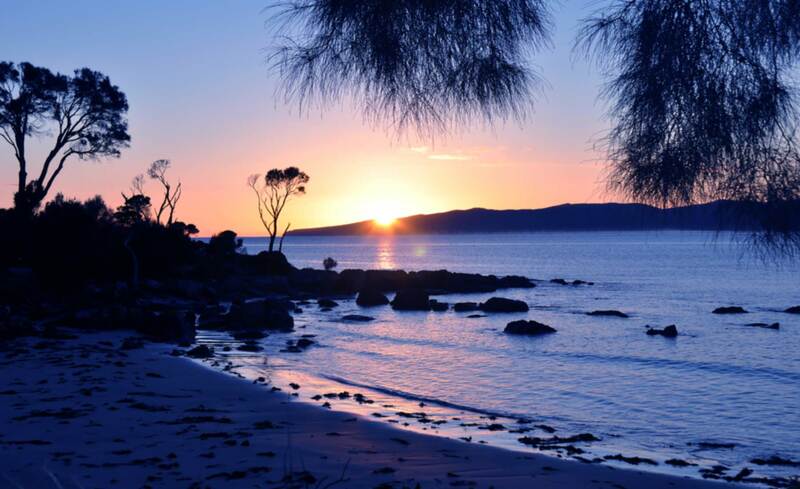 It is also the eastern gateway to Narawntapu National Park, a favorite destination for visitors wanting to see wombats, Forester kangaroos, Bennetts wallabies and pademelons up close and personal in their native habitat. 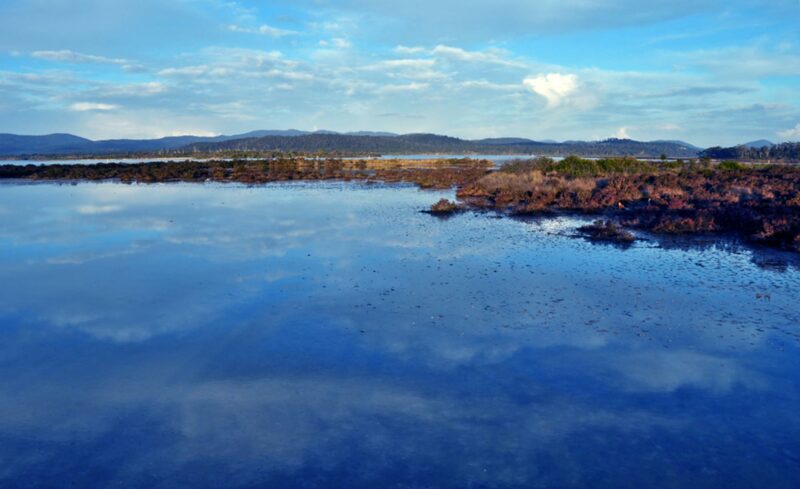 Narawntapu is must see for any visitor to Tasmania wanting to see wildlife in its natural habitat. 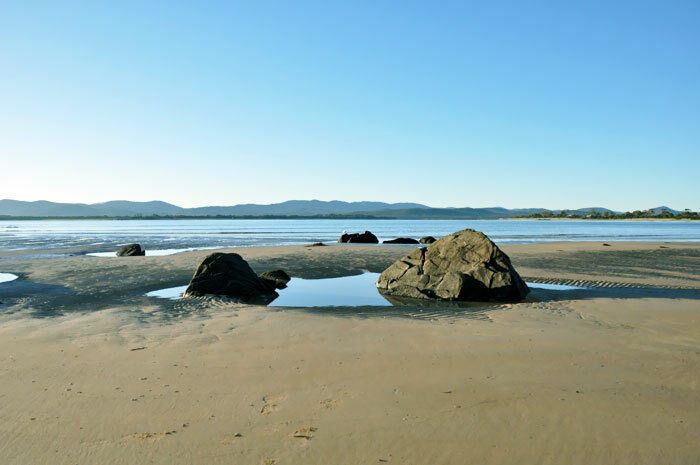 The park includes an historic farm, a complex of inlets, small islands, headlands, wetlands, dunes and lagoons, and very visible birdlife and wildlife including kangaroos, wallabies, Tasmanian devils, quolls and wombats. 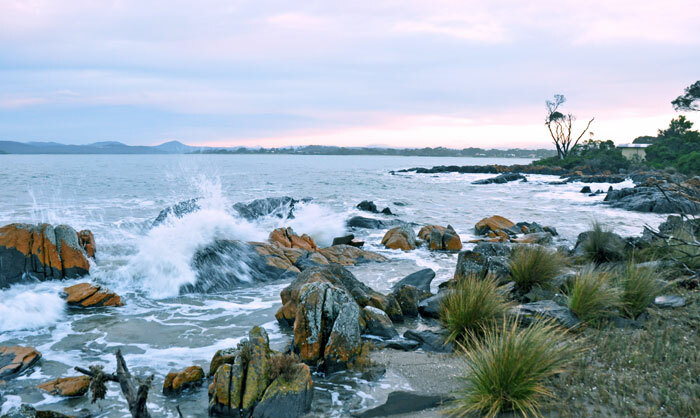 Narawntapu is the aboriginal name for the Badger Head and West Head area within the park. Bakers Beach Road, off Frankford Highway, Rubicon. 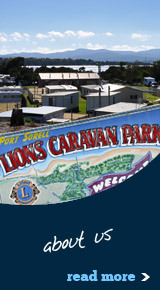 Tel: (03) 6428 6277. www.park.tas.gov.au. 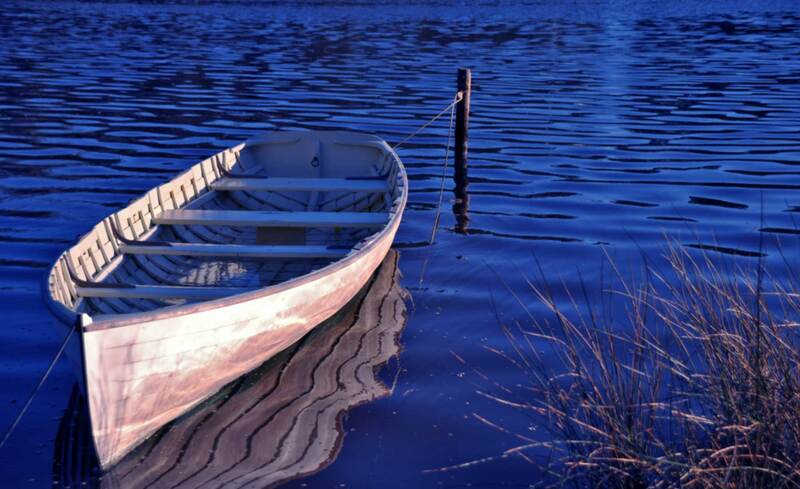 Home to the platypus and trout this reserve also has a 5km walking track and two parklands. Guided platypus tours can be organised with the Latrobe Landcare Group and depart early morning and dusk by arrangement. 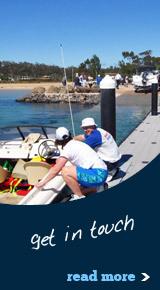 Tours from 1 – 3 hours on request. Bookings essential. 59 George Street, Latrobe. Award winning vineyard producing cool climate reds, whites and sparkling. A contemporary cellar door and cafe complex offers superb views over the vineyard to Bass Strait and local artist’s work feature in the boutique gallery. Open daily 11am - 5pm (January and February). 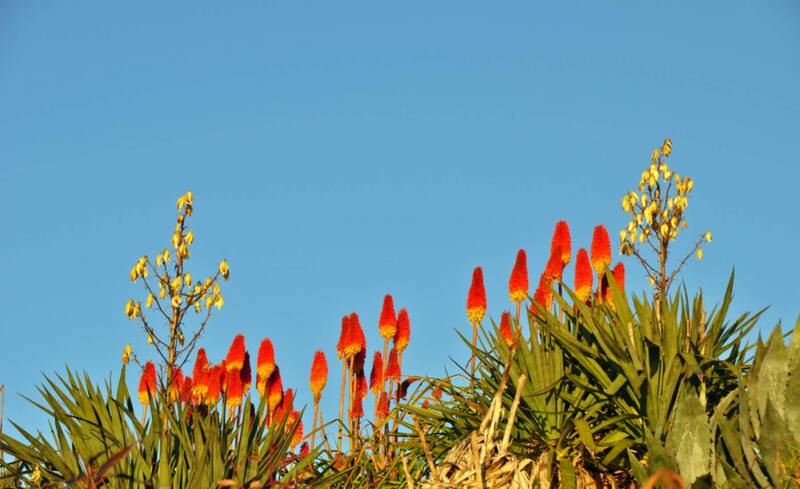 Open Wednesdays to Sundays and public holidays 11am - 5pm (March - December). Closed Christmas and Good Friday. 1055 Port Sorell Road, Northdown. Tel: (03) 6428 4005. www.ghostrock.com.au. A total chocolate experience for lovers of genuine Belgian-style chocolates, including viewing room and chocolate museum, tastings and sales. A traditional European cafe offers a large breakfast menu (savoury and sweet) including Belgian pastries and extensive lunch menu. Open daily 7am - 6pm. Closed Christmas Day, New Year's Day, Good Friday and Easter Sunday. 9025 Bass Highway, Latrobe. Tel: (03) 6426 2703. www.anvers-chocolate.com.au. Showcases the life and achievements of Australia's most famous axeman through extensive displays of memorabilia including photographs, trophies, championship axes, special saws and much more. The centre also incorporates the Platypus and Trout experience and an onsite site licensed cafe, function centre and gifshop. Open daily 9am - 5pm. Closed Good Friday. Bell's Parade, Latrobe. 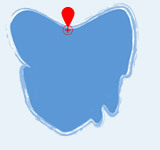 Tel: (03) 6426 2099. www.axemanscomplex.com.au. This specialist outlet sells locally grown cherries, including varieties such as the Merchant, Lapins, Van, Simone and the White Vega, all of which can be sampled prior to purchase. Cherries can be ordered in advance by the carton. Cherry based products such as ice cream, wine, liqueur and port, fresh juice, pie and cheesecakes can also be sampled and purchased. Open daily 9am - 6pm (Mid December - April). Closed Christmas Day and Good Friday. Cnr Bass Highway & Gilbert Street, Latrobe. Tel: (03) 6426 2411. www.cherryshed.com.au. The Museum tells the story of Latrobe and surrounding areas since European settlement in the mid nineteenth century. Open 1pm - 4pm Tuesday to Friday. Closed Christmas Day, Boxing Day and Easter Good Friday. 113 - 115 Gilbert St, Latrobe. 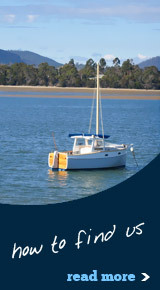 Tel: (03) 6426 2777. www.nationaltrusttas.org.au. Tel: (03) 6426 2969. www.sherwoodview.com.au. Various scenic flights over Tasmania’s key icons such as Cradle Mountain, Mount Roland and North West Coast. Private charters by appointment. 8998 Bass Highway, Latrobe. 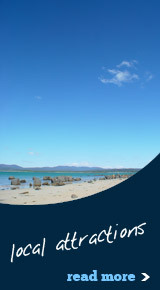 Tel: (03) 6426 1623. www.tasmanianhelicopters.com.au.